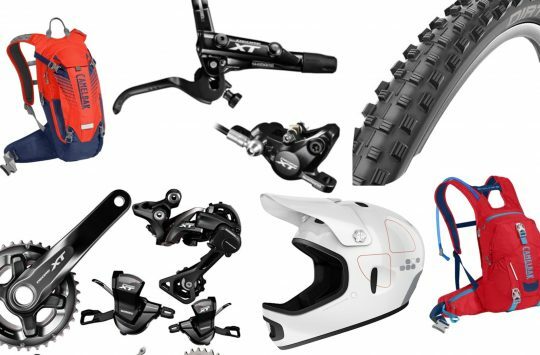 100% branches out into the armour market with 4 new sets of knee/elbow pads to suit all riders and all budgets. 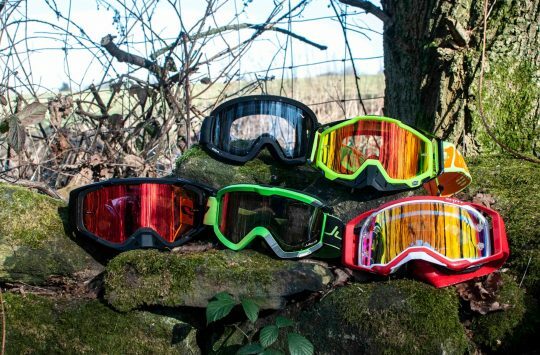 Already well respected in the goggle, helmet and glasses markets, 100% boosts its range of offerings with new knee and elbow armour products for 2019. We visited Core Bike to see them for ourselves. The Mac Daddy of the 100% armour lineup is the Surpass Level 2. This heavy-duty pad boasts a maximum Level 2 impact protection, making them the go-to for enduro and downhill riders. The Surpass uses a clever honeycomb outer web to dissipate impact forces in conjunction with a large main hard pad to keep those knobbly knees protected. The Surpass Level 2 will be available as an elbow pad for £87.99 or as kneepad at £115.00. The Fortis is a burly pad for riders who want to pedal and stay cool. 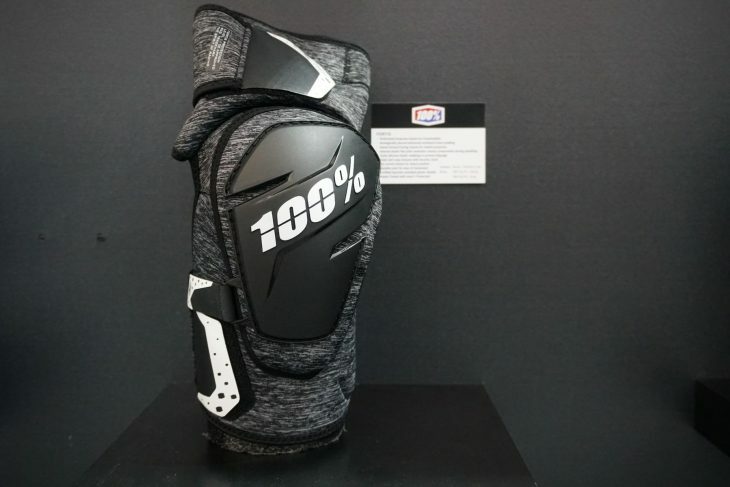 With this in mind 100% have tested them to meet Level 1 Protection, and have left the back of the knee open for maximum breathability. There’s a Spandex joint for ease of moments and an internal elastic flex point which ensures the pad remains compressed on your leg while pedalling. 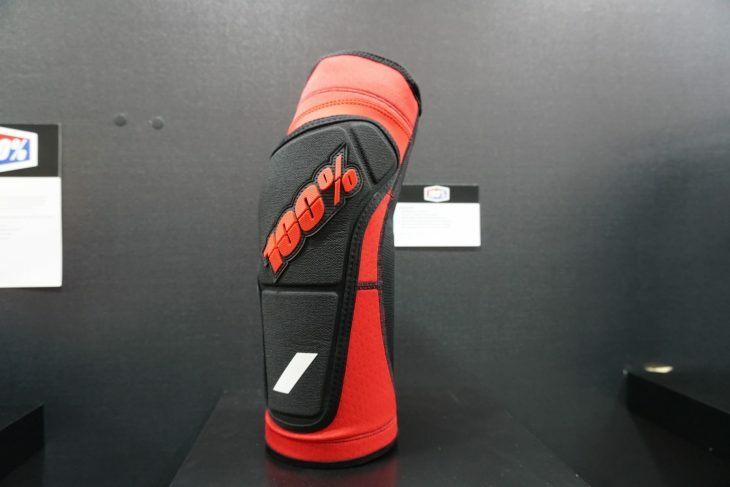 Pricing for the 100% Fortis starts from £61.99 for the elbow pad rising to £69.99 for the kneepad. 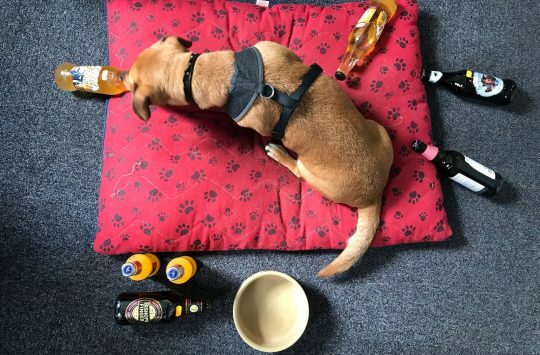 The Teratec soft pad offers level 1 protection. 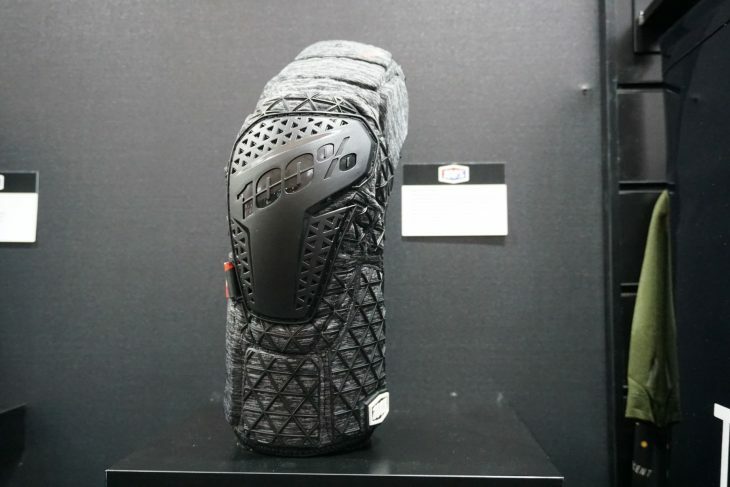 Like the Ridecamp, the Teratec Soft is a slip-on style pad and will come in either knee or elbow variants. Despite its name the Teratec actually offers the same level 1 protection as the burlier Fortis pad, but due to the soft design should be easier to live with over longer rides. 100% have once again taken care of the cooling with a fully ventilated rear mech section, not that we need much cooling at this time of year. 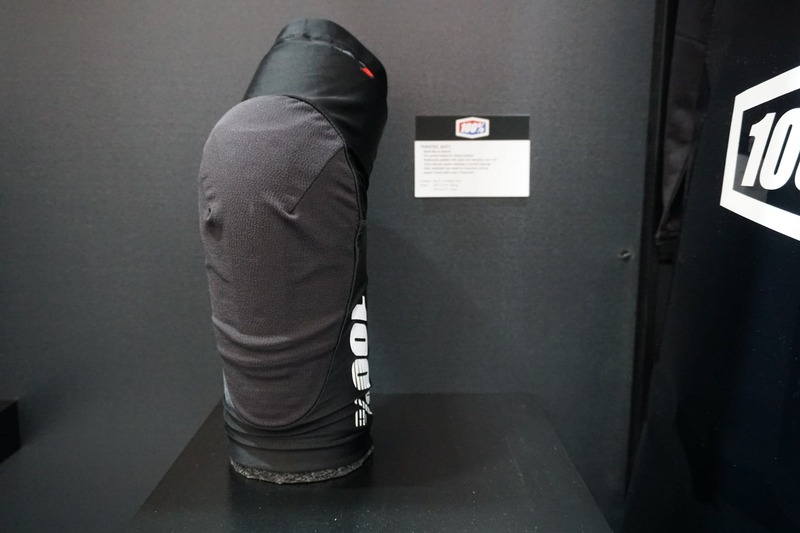 Prices range from £52.99 for the elbow pad to £61.99 for the knee pad. The 100% Ridecamp is a lightweight kneepad. The Ridecamp kneepad from 100% is a lightweight, slip on pad that costs £43.99 for a set of elbow pads or £52.99 for the knee pad. Each pad comes with a pre-curved chassis meaning that they naturally suit the “attack position” when riding. 100% have designed in a fully ventilated rear mesh area for maximum cooling along with using a perforated neoprene body for breathability.